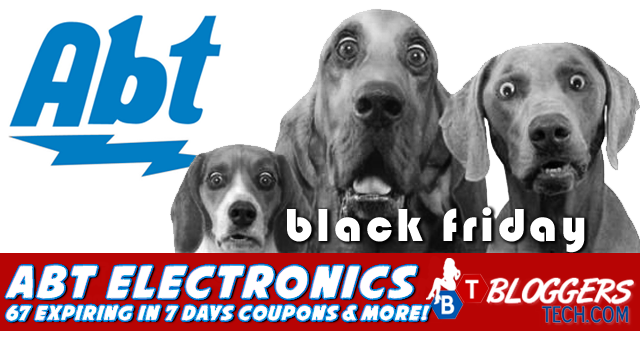 Abt Electronics 67 Expiring in 7 Days Coupons and more! It's been quiet a long time that we've got some coupons, discounts and promo posted here in Bloggers Tech but since I want to keep you guys updated with the latest, especially with the best deals that you could grab online I'll try my best in keeping and posting it here in the blog. 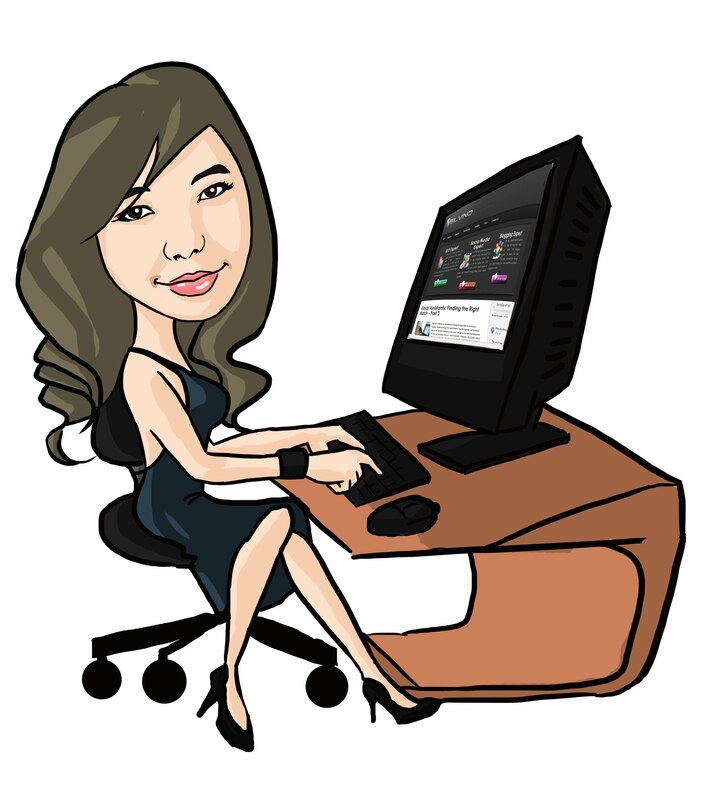 Actually, I'm trying to code a script to make everything easier for me and I could update you immediately with discounts, coupons and other promo from companies I'm affiliated with. So anyway, to give you the quick list of the deals from Abt Electronics here's the list with the link to the promo. Most of the deals below are due to the BLACK FRIDAY, so eve though we're days behind you can still grab the opportunity to have the best black Friday deal today! Black Friday Deal! - Samsung 32" Series 4 LED Flat Panel HDTV (UN32EH4003) NOW $249! Black Friday Deal! - Roku 2 XS Streaming Media Player (3100R) NOW $79! Black Friday Deal! - Panasonic 32" Black 720P LCD HDTV - TC-L32C5 (TCL32C5) NOW $279.99! Black Friday Deal! - Canon (MG5320) NOW $99.99! Black Friday Deal! - All Clad (8701005067) NOW $99.95! Black Friday Deal! - Maytag 30" Stainless Steel 5.0 Cu.Ft. Free Standing Gas Range (MGR7685ASS) NOW $599! Black Friday Deal! - HAAN Swift Red And Grey Steam Cleaning Floor Sanitizer (SI25) NOW $69! Black Friday Deal! - Panasonic Champagne Expandable Digital Cordless Phone With Answering System (KXTG4024N) NOW $69.95! Black Friday Deal! - Panasonic Expandable Digital Cordless Answering System (KXTG6645B) NOW $69.95! Black Friday Deal! - Sony Progressive Scan Black DVD Player (DVPSR210P) NOW $29.99! Black Friday Deal! - Miele S 7210 Twist Sprint Blue Upright Vacuum (S7210ITSB) NOW $399! Black Friday Deal! - Epson PowerLite Home Cinema 8350 Projector (V11H373120) NOW $1219! Black Friday Deal! - Sony 32" Black 720P LED HDTV (KDL32EX340) NOW $349.99! Black Friday Deal! - Sony 3D Blu-Ray DVD Player (BDPS590) NOW $99.99! Black Friday Deal! - Samsung 51" Black Plasma 720P HDTV - PN51E450 (PN51E450) NOW $479! Black Friday Deal! - LG White Extra large Capacity Front Load Washer (WM2250WH) NOW $599! Black Friday Deal! - Sharp AQUOS 60" Black LED Flat Panel HDTV (LC60LE600U) NOW $999.99! Black Friday Deal! - LG Black Blu-ray Disc Player (BP220) NOW $59! Black Friday Deal! - Samsung 22" Series 5 LED Black Flat Panel HDTV (UN22D5003) NOW $199! Black Friday Deal! - Polk Audio SurroundBar6000 Instant Home Theater (SURROUNDBAR6000) NOW $499! Black Friday Deal! - amsung RFG237 Stainless Steel French Door Bottom Freezer Refrigerator (RFG237SS) NOW $1799! Black Friday Deal! - LG 50" Black 720p Plasma HDTV - 50PA4500 (50PA4500) NOW $549! Purchase select Sony NEX digital cameras and save $98 on a lens! Black Friday Deal! - Samsung RF4267 Stainless Steel 26 Cu. Ft. French Door Bottom Freezer Refrigerator (RF4267SS) NOW $1899! Black Friday Deal! - Wusthof Silverpoint II 18-Piece Block Knife Set (1588) NOW $149.95! Black Friday Deal! - Frigidaire Small Upright Freezer (FFU12F2WH) NOW $389! Black Friday Deal! - LG White Extra Large Capacity Gas Dryer (DLG2251WH) NOW $699! If some of you wish to have a printable version with the start and end date of the coupon here's the coupons in its printable version.